Welcome to the contact page of RomanianDentalTourism! We welcome all clients in need of information or a personalized consultation from our team of dentists in Romania. We offer high standard dentistry services for affordable prices. Furthermore we can also provide accomodation and travel arrangements, therefore patients can rest assured everything is taken care of for their vacation. Still not convinced? Take a look at the wide range of professional dentistry services and treatments we can provide to our patients and the variety of travel destinations Romania has to offer. We make it our mission to elaborate a complete solution consisting in a package of services that will solve all dental problems for our patients. Each and every one of them can rest assured he will be offered a personalized treatment plan perfectly adapted to his needs and desires. -visit us at one of our four dental clinics. You can see our addresses and our business hours below. DentalTourismRomania owns four clinics, and you are welcome to take a look through the pictures in our gallery in order to decide wich one is best suited for you! Visit us between 09am - 09pm Monday-Friday and 09am - 04 pm Saturday. Visit us between 11am - 07pm Monday-Friday. Our services are mainly focused on tourists looking for both a wonderful vacation in Romania and a solution for their dental problems. Therefore we managed to combine the pleasant activities of a vacation with the usefulness of a medical treatment into a single trip. 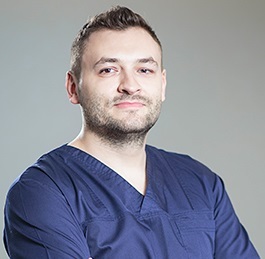 We want to make things as easy and hassle-free as possible for our patients, therefore our Romanian detists will request an xray and develop a treatment plan according to it, without the need to travel for the first consultation. According to our clients desiderd accomodation plans, we can provide them with a list from where they can choose the most suitable hotel and services. We can also prepare arrangements for transportation from the airport to the hotel and a touristic travel plan according to their vacation preferences. 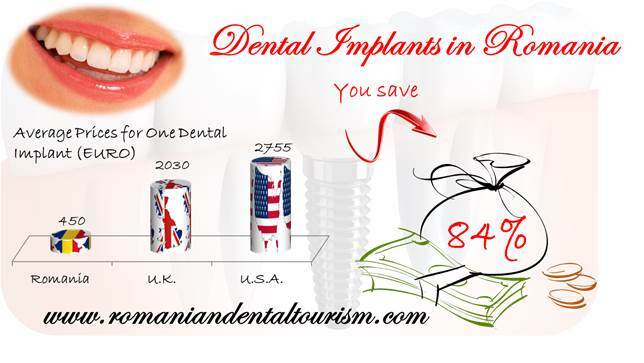 Send us an e-mail at office@romaniandentaltourism.com and let's determine together what is the best and most suitable dental package for your needs and desires.